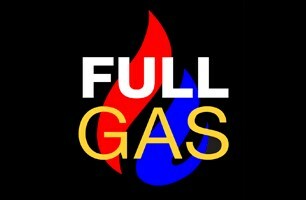 FullGas Plumbing & Heating - Central Heating Engineer, Plumber based in Walton-on-Thames, Surrey. Hi, my name is Rob from FullGas Plumbing & Heating Ltd.
We are a Gas Safe registered family run business with over 35 year's experience between myself and the team. * WORCESTER BOSCH Silver accredited and specialising in both servicing and installations, We offer a manufacturers 10 YEAR GUARANTEE in all Worcester products we install. * VAILLANT Advanced accredited for servicing and installations. Our appointments are run to an hourly time slot to keep customer waiting time to a minimum. We cover all aspects of Domestic and light Commercial Plumbing & Heating. • Gas appliance & boiler installation, maintenance & servicing. • Smart home Wi-Fi enabled programmers and heating controls. • Unvented & Megaflow hot water cylinders. • Siliconing and water sealing. • Underfloor heating & radiator installation. • Mains water pressure booster tanks, pumps & vessels. • Central heating, under floor heating & hot water service & break down using thermal imaging. • Heating and mains water pump replacement & installation. • Light commercial & domestic plant rooms installation & maintenance. • Full custom designed "meter up" Gas, Oil & LPG, heating & hot water system installations. • Bespoke Bathrooms and wet rooms. • Range cookers & gas hobs. We pride ourselves on efficiency, honesty, reliability, clarity and communication. When a job is undertaken, rest assured you are in trustworthy hands.